It was late Friday evening and I was leaving Wal-Mart with some cat slippers under my arm. No, not slippers FOR cats, as everyone knows cats would never agree to wear slippers, but cat-themed slippers destined for the Intrepid Junior Blogger’s feet. As I was heading out the front door of the store, though, my eyes were drawn to the vending machine just outside and I noted a piece of paper taped to it. I stood there for a moment and felt this warm glow spread over me, and then I pulled out my cell phone and snapped a photo. I left the note and the cash, of course, hoping it would be found by someone who would appreciate the kindness of such a small act just as much as I did. I posted it on Instagram and Twitter, and almost immediately someone responded that this was one of the acts mentioned on a “calendar of giving” that was going around. I asked them what this meant, and apparently it was a sort of Advent calendar in reverse, one that instead of dispensing chocolates for every day leading up to Christmas instead suggested an act of giving one could do every single day during the festive season. I found several other examples of these calendars, including one that was sent to me directly. I was delighted to see how simple some of the suggestions were, and how they tied into the true meaning of this time of year – which is not of receiving but of giving to others. It is funny how the smallest of things can warm our hearts. 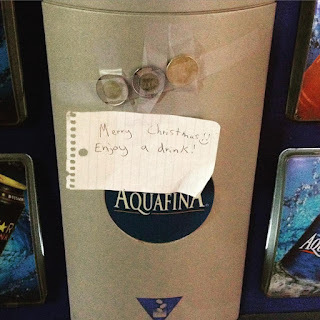 3 coins and a small note taped to a vending machine has left me smiling for days, wondering both who left the coins and who eventually used them. It has been a difficult year in our community. There have been some hard moments, ones which almost took my breath away as the place I know and love went through the pains that come when an economy you cannot control turns on you. It has been a learning year, too, and some of the lessons have been hard ones. 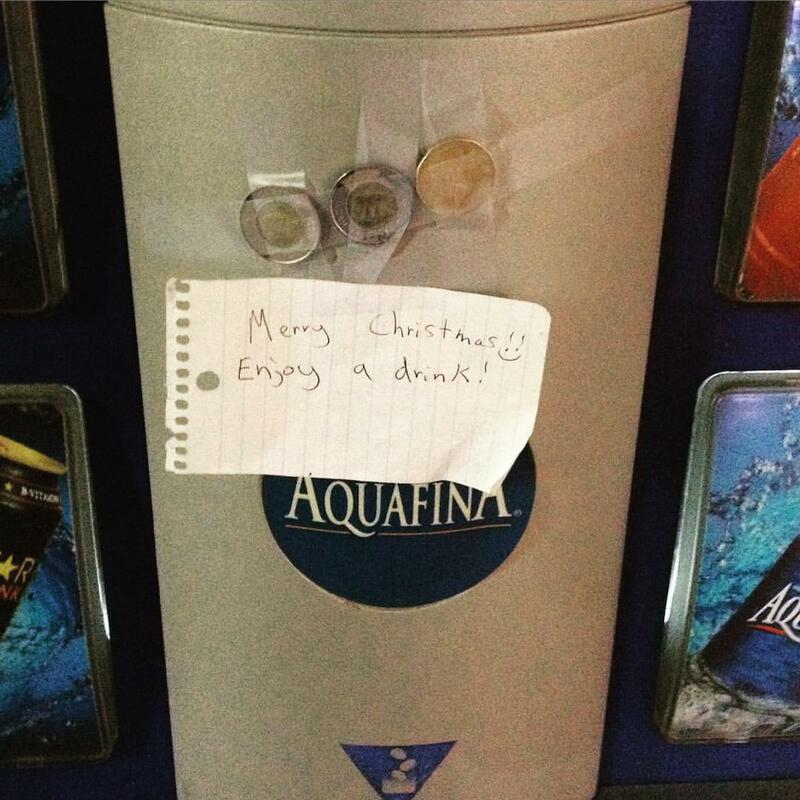 It has been the kind of year where simple acts of kindness, like coins taped to a vending machine, become moments to warm your heart and smile. Thank you, Fort McMurray. 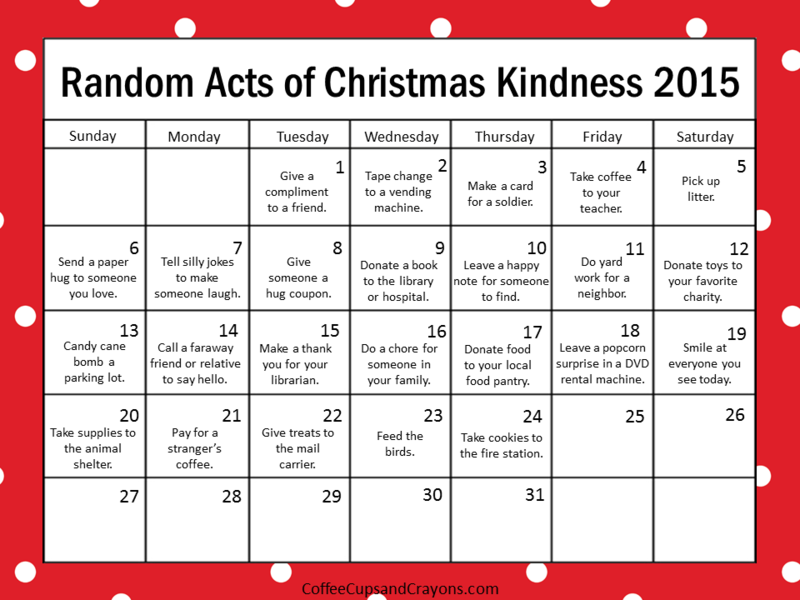 Thank you to the kind souls who practice acts of kindness every day, thank you to those who have just kept going this past year and thank you for continuing to believe in our community and each other. You truly are the most amazing place and people I have ever had the honour to know.